Warm relations of the two states foster further cooperation beyond the diplomatic frontier, namely in the fields of agriculture, energy efficiency, fighting corruption and culture. Relations between Ukraine and Finland are very warm, the countries continue cooperation in various fields. Finland supports and will support Ukraine on the international level on the issues of sanctions against Russia, visa free regime and Eurointegration. The countries strengthen bilateral cooperation in such fields as education and fighting corruption, economics and culture, said Andriy Olefirov, Ambassador Extraordinary and Plenipotentiary of Ukraine in Finland at a Skype press briefing at Ukraine Crisis Media Center in the framework of Ukraine Crisis Media Center Ministry of Foreign Affairs of Ukraine project “Diplomacy without borders”. Andriy Olefirov mentioned that Finland was one of the first countries to ratify Ukraine-EU Association Agreement. Moreover, this decision was taken unanimously. Finland also supports liberalization of visa regime with Ukraine and provides important humanitarian aid to Ukraine. Over the last three years, Ukraine has received Finnish humanitarian aid in the amount of nearly 30 million euros. “The Finnish government has announced a 1 million euros tender on humanitarian demining action in the east of Ukraine, it will be over in the following days. Despite economic crisis (…), the Finnish partners ensured me that next year they will continue humanitarian support to Ukraine,” said the Ambassador. Finland continues dialogue with Russia, including visits on the highest level. However, the country clearly outlines its position. Andriy Olefirov reminded that at a meeting with Vladimir Putin in the framework of his visit to Finland the Finnish President Sauli Niistö stressed that Finland was one of the countries which developed sanctions against Russia and imposed them, and that the sanctions will continue until the full implementation of Minsk Agreements. “Unfortunately, we can’t choose our neighbors. Ukraine continues dialogue with Russia in the Normandy Four and Minsk format in order to achieve peace; Finland continues dialogue in order to prevent war,” explained Mr. Olefirov. Andriy Olefirov noted that according to a social survey that was held last week the Finns are rather concerned about their eastern neighbor and 1300 km of land frontier with it. “People were asked whether they feel threat from Russia: 50 percent responded positively, 6 percent only answered that they see no reason to worry. These numbers tell the story best,” noted the Ambassador. Finland takes into account the danger of the Russian propaganda and carefully controls the situation. “There is even an inter-ministerial taskforce that works on this issue. It includes experts from key Ministries such as the Ministry of Foreign Affairs,” Andriy Olefirov noted. Sometimes Finland itself faces information provocations. According to him, just a few days ago some pro-Russian Twitter accounts were spreading fake information that three women shot dead last weekend in Imatra were Russian and that they were killed on the grounds of ethnic hatred. In fact, two of them were Finns and the police haven’t established a motive. In general, the situation in Finland is much more optimistic that in many other European countries. Despite economic crisis, there are rather few euroscepticists in Finland. “Last year marked the 20th anniversary of Finland’s membership in the EU, and most experts as well as ordinary people consider that the country has benefited from it,” said Andriy Olefirov. In addition, there is no any influential far-left or far right political party in Finland. The few radical movements have small influence on the internal situation. Education, fighting corruption, energy efficiency and energy saving are the most promising fields of cooperation between Ukraine and Finland. “Since long ago, Finns has been one of the global leaders in these fields. There are a lot of things we should learn from them, and there are already many developments. 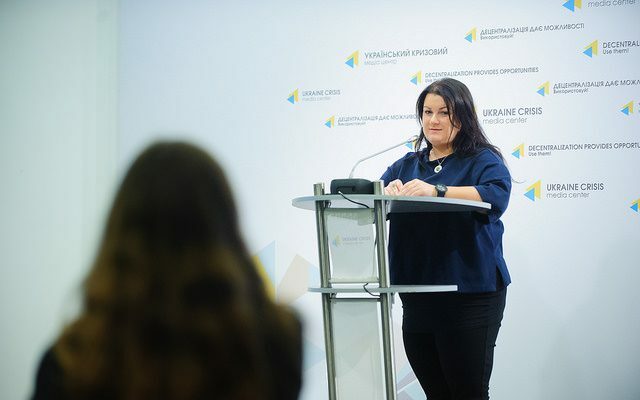 For instance, the chief advisor on anti-corruption in the EU Delegation to Ukraine who helps Ukrainian government is a Finn with 20-year experience in this field,” Mr. Olefirov noted. Finnish business is very interested to invest in energy saving and energy efficiency projects in Ukraine. For example, company NEFCO has already developed over 100 projects on energy saving in Ukraine. Ukraine could supply agricultural goods onto Finnish market. “I hope since the starting next year first Ukrainian foodstuffs will appear on the shelves of two biggest Finnish supermarket chains,” noted the Ambassador. Finnish food market is dominated by two monopolistic Finnish companies and one German company. “If Ukraine will supply goods there, it would bring millions in benefits to our companies,” he mentioned. On November 21, Ukrainian film ‘The Nest of the Turtledove’ on the destiny of a migrant worker was presented in Korjaamo cinema hall in Helsinki within the Day of the Ukrainian Film in Helsinki organized by the Association of Ukrainians in Finland with support of the Embassy of Ukraine in Finland and the Ukrainian State Film Agency. The project exists since the start of this year. There were nearly 200 spectators, mostly Finns. “During Q&A session the Finns noted that they could remember familiar stories, as there was a period when a lot of them travelled to earn money in Canada, Sweden and other countries, so they know very well what problems one faces when going abroad for work and then coming back,” the Ambassador said. Earlier presentation of the film ‘The Tribe’ and a Q&A session with the film director via Skype gathered nearly 200 visitors. 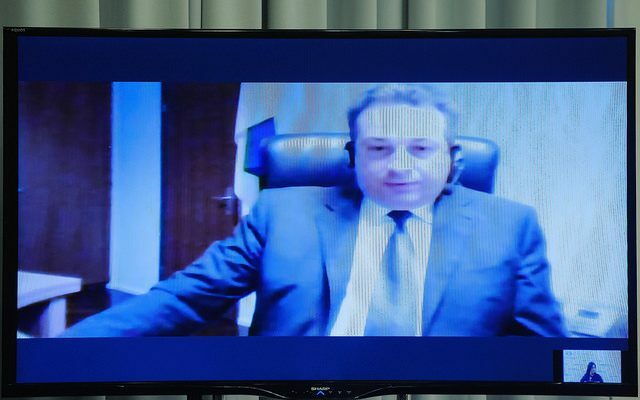 In total, there were six Skype-conferences with Ukraine, Andriy Olefirov said. One week before the Grand Final of the Eurovision there was conversation with Jamala, and on the third anniversary of Maidan people could ask questions to Ruslana Lyzhychko after the film by “#BABYLON`13” art union. Next year the Embassy and KalytaArtClub will organize an art exhibition “TOPOS of Yuriy Khymych. Finland” in Helsinki. Yuriy Khymych is a Ukrainian artist from Kamyanets-Podilskyi. Once a Finnish businessman noticed photos of his works in a soviet magazine and invited him to Finland. Yuriy Khymych created 40 paintings of Helsinki and other cities. “This exhibition will be a present from Ukraine to the 100th anniversary of Finland’s Independence,” said Andriy Olefirov. Andriy Olefirov reminded that Finland was among the first countries which recognized Ukraine’s Independence in 1918 and sent diplomatic mission to Kyiv. On the website of the Embassy there are e-copies of the documents on Herman Gummerus appointment to the post of Finland’s diplomatic envoy to the Ukrainian government, as well as documents on Petro Slyvenko appointment to the post of Ukraine’s consul in Finland. On December 30 there will be 25 years since Finland recognized Ukraine’s Independence, and July 26 will mark 26th anniversary of renovation of diplomatic relations between the countries.